Don’t look now, but there’s yet another reality show in the works. It’s the same plot we’ve seen time and time again – contestants competing against each over for a $1 million prize. What’s different about this show, however, is the fact that it’s an invention competition geared towards technology enthusiasts. 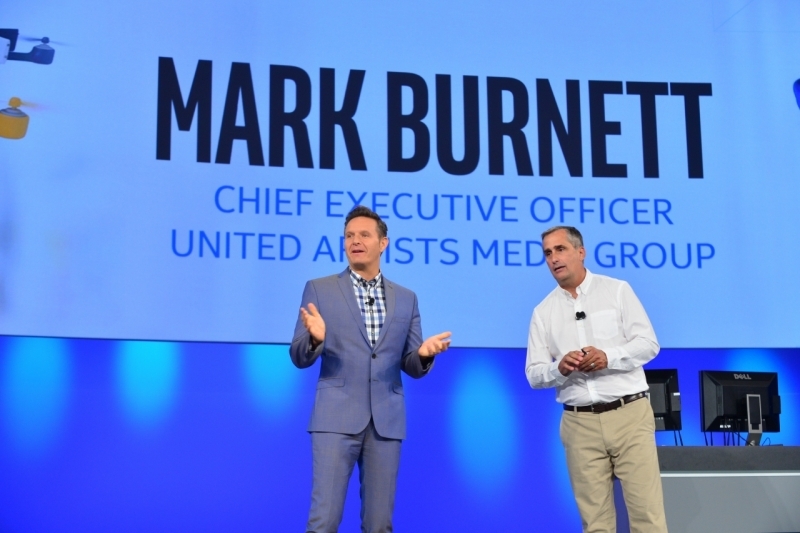 Intel is partnering with producer Mark Burnett of United Artists Media Group – the creative mind behind Survivor, The Apprentice, The Voice and Shark Tank, just to name a few – on a reality show called America’s Greatest Makers (working title) that builds on last year’s Make it Wearable challenge. It’ll debut in the first half of 2016 via the Turner Broadcasting portfolio (think TNT, Adult Swim, truTV, CNN, HLN and Bleacher Report), following inventors as they try to come up with the next hot wearable using Intel’s Curie module. First unveiled at CES in January, Curie is a tiny, Quark-powered SoC designed specifically for wearable devices. Intel showcased the chip’s capabilities during IDF 2015 via a live BMX demonstration in which a chip embedded within a bike was able to determine the bike’s orientation and what tricks its rider was performing. The move signals Intel’s desire to diversify its portfolio in the wake of slowing PC sales. The chipmaker missed a huge opportunity to enter the smartphone market years ago as the exclusive chip supplier for the iPhone, a blunder that would have drastically changed the mobile landscape as we know it today. Intel also had an opportunity in recent years to enter the streaming television industry. In 2013, Intel confirmed it was developing an Internet TV service as well as a set-top box although failed attempts to secure content deals ultimately derailed the project. The company cut its losses a year later, selling the venture to Verizon for an estimated $500 million. In hindsight (and just a year and a half later), it’s clear that streaming is going to redefine how we watch television. Did Intel miss out on yet another landmark opportunity? Experts predict that wearables and IoT devices will be the next big thing in computing. The reality show is less about actually producing a television show and more about advertising its Curie module to anyone that’ll listen. If the company can land a visionary engineer out of the deal, that’s just icing on the cake. Those interested in applying for the show need to complete an application and submit a video. Instructions on doing so can be found over at Intel’s casting page.